Rick Powers called in with this report for the New Sea Angler. 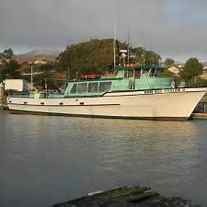 "On Friday the New Sea Angler had 17 who caught 9 Lingcod to 10 lbs. plus full limits of Rockfish. The Rockfish were mainly Copper, Brown and Vermillion Rockfish. We fished down at Pt. Reyes and the weather conditions were excellent. 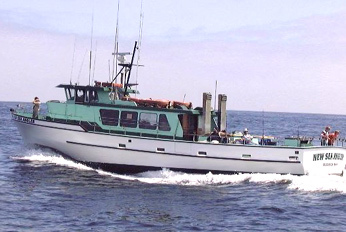 "We have plenty of room available next week for our Rockcod/Lingcod combo trips and we are slso taking bookings for our Dungeness/Rockcod/Lingcod combo trips which start next weekend on Nov. 2nd. If you are interested in information, or reservations call 707-875-3495."